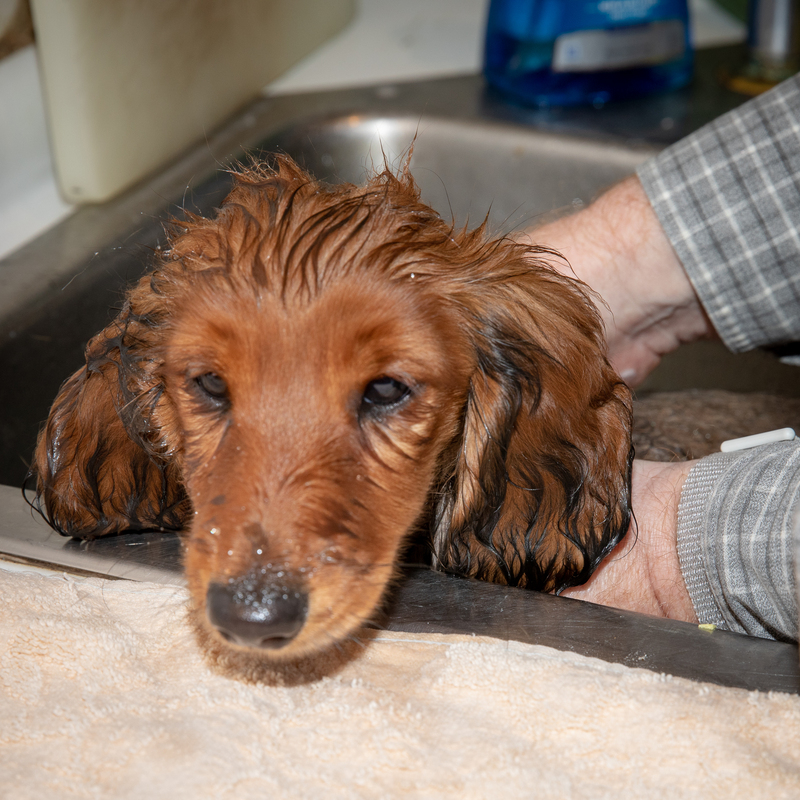 Our vet thinks we should have done this earlier, but she reminded us of some good techniques for puppy bathing. Today, after breakfast, AuRoara took the plunge! AuRoara starts her first bath nonplussed. One tip was to put a washcloth in the sink underneath AuRoara so she wouldn’t slip in the tub. There were lots of new sensations, but she tolerated the experience pretty well! 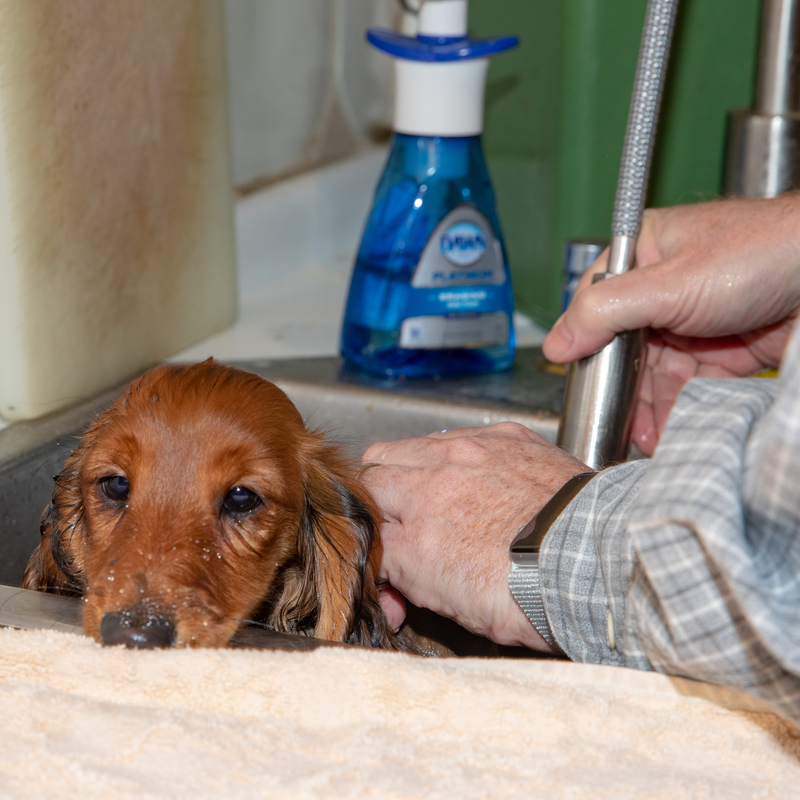 This entry was posted in dachshunds and tagged Auroara, dachshunds, dog bathing, dog grooming, puppies2018, puppy firsts, zenith puppies. Bookmark the permalink.